With over 400 million speakers in more than twenty countries, Spanish is one of the most spoken languages in the world rivaled only by English and Mandarin Chinese. In the U.S. there are 41 million native speakers of Spanish, and 11 million people speak it as a second language. No doubt it is the fastest-growing language in this country. Daily use of Spanish is so common in the U.S. - at stores, at restaurants, at work, on television, on the radio, on the streets, etc. - that most Americans take it for granted. In the state of Texas with its dynamic Hispanic population, there are over 6 million speakers of Spanish, and growing. No doubt, knowing English and Spanish will give anyone a clear edge in today's work world. Click here for a video on how Spanish can help you. 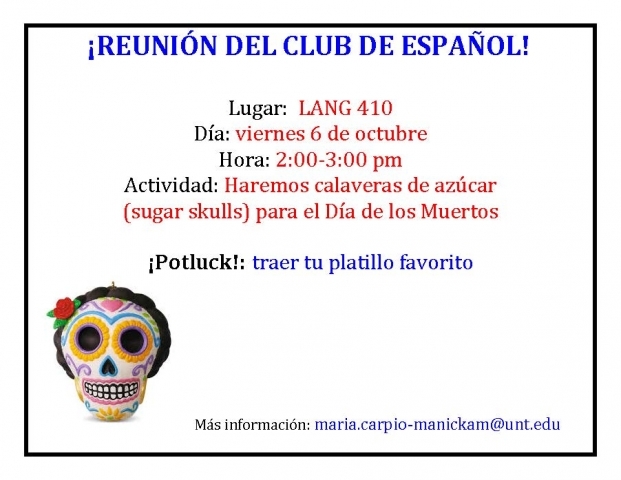 UNT offers a major and minor in Spanish. At the basic and intermediate levels students master all Spanish language skills through oral and written practice as well as online activities. Advanced students take prerequisite classes before choosing from a variety of courses in literature, culture, professions, civilization and cinema to fulfill requirements and electives. UNT Spanish graduates have gone on to become secondary school teachers and work in various businesses, as well as continue on to graduate school, among other professions. 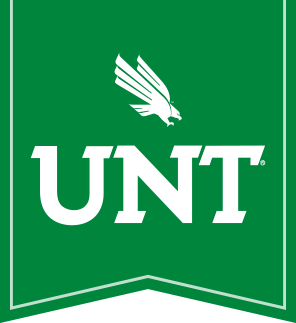 Many UNT students also do a double major in Spanish and another field - such as business, music, biology and journalism, for example - since they are well aware that NO MATTER WHAT YOU DO, SPANISH WILL HELP YOU! A minor in Spanish consists of a minimum of 21 semester hours in Spanish, including 9 advanced hours. Demonstration of proficiency may be substituted for credit in courses equivalent to SPAN 1010 through SPAN 2050. A minimum grade of C is required for a course to count toward the minor. Students may earn credits in Spanish through a placement test or by transferring credits from another institution. For more details, please look for testing information under the Resources section of this website or call the department office.